Portions of this Digest are available in enlarged format for the visually impaired. 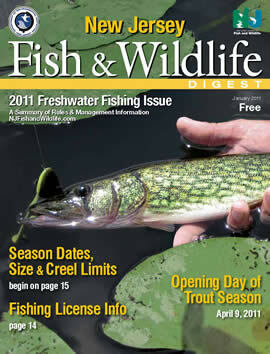 To request a black and white, large format Digest, write to: NJ Division of Fish and Wildlife, Large Format Fishing Digest, Mail Code 501-03, P.O. Box 420, Trenton, NJ 08625-0420.